Use of biotechnology is generally confused with promotion of GM crops. Why do you think this is the case and what needs to be done to clear such a misconception? Biotechnology covers a range of low (biofertilizers and microbiology) to high-end technologies (genetic engineering, gene editing etc). However, when we talk about biotechnology, public perception is of genetically modified (GM) crops, but that is not the case. Probably, the scientific community needs to do a better job in educating the public that biotechnology does not mean only GM crops. For example, the media and the policy makers need to be sensitised more about the concept and advantages of biotechnologies in crop improvement for developing better varieties, which can lead to food and nutrition security. Do you think biotechnology can help us counter the negative impacts of climate change? Studies suggest that crop yields will decline and nutritional quality of cereals will suffer due to climate change. Can biotechnology help us overcome this? Yes, this is very much the case. In my opinion, two biotechnology approaches—genomics and molecular breeding and genetic engineering can help develop climate change-ready varieties to cope up with climate change in coming years. We have discussed this issue in a paper published in Trends in Plant Science (Agricultural biotechnology for crop improvement in a variable climate: hope or hype?). 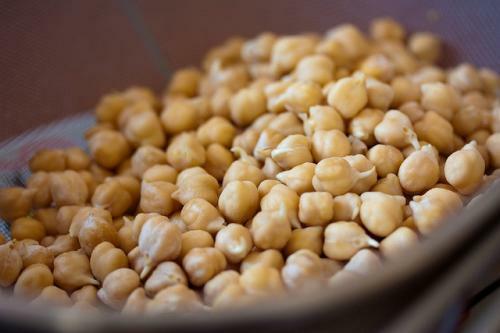 Some of our recent works on molecular breeding at the International Crops Research Institute for the Semi-Arid Tropics (ICRISAT) have led to the development of chickpea varieties with enhanced drought tolerance and with up to 24 per cent higher yield in rain-fed conditions. These are at the advanced stage of trials to be released by the Indian Council of Agricultural Research (ICAR). Similarly, our recent work on sequencing and analysis of 1,000 lines of Pearl Millet genome has provided us the clue why it survives in higher temperature (42 degrees Celsius). Many cereals such as wheat and rice are not able to produce grains at more than 35 degrees Celsius. We believe that these genes will be useful to develop heat-tolerant varieties in major cereal crops using the biotechnological approach. Therefore, in the context of climate change we can have better varieties of wheat, rice and maize as well. Given the Indian scenario, which set of biotechnologies do you think will work best for smallholder farmers in terms of affordability and practice? As mentioned earlier, there are a range of biotechnological approaches. Molecular breeding is one of the non-expensive approaches, which does not have any issue from the perspectives of societal acceptance. In fact, in case of India, we already have varieties of rice, wheat, maize and Pearl Millet under cultivation developed from molecular breeding techniques. Also, at ICRISAT, we have developed improved varieties of chickpea (tolerant to drought), groundnut (resistant to foliar disease and having high Oleic acid content), Pearl Millet (downy mildew resistance, high iron and zinc content) and sorghum (drought tolerance). However, in some cases, the available options for improving crops are only GM crops. For instance, in case of insect-resistance in chickpea, pigeon pea, brinjal and cotton, we need to embrace GM technologies as enough amount of natural variation is not present for insect resistance. We already have seen the success of Bt Cotton in our country, as India from being an importer a few years back has now become a major exporter (Status Paper of Indian Cotton—National Food Security Mission, 2017). The other potential GM crop to help the farming community is GM mustard. How important are biotechnologies in achieving the zero hunger challenge in Asia by 2030? I feel biotechnologies will play a very important role in achieving the Zero Hunger Challenge. When we talk of the Zero Hunger challenge, we just don’t mean calories, but also different kinds of nutrients such as proteins, micronutrients and so on. The recently released National Nutrition Atlas from the National Institute of Nutrition and the Indian Council of Medical Research shows that majority (two-thirds) of states in India have a high percentage of malnourished children and high level of wasting. This is mainly because of the non-availability/ non-accessibility to enough amount of proteins and micronutrients to pregnant women and children under the age of 5. We are a major importer of pulse crops (major source of proteins to the Indian population) and oilseeds. As per the ICMR for having a healthy population, India needs at least 29 million tonnes of pulses. However, currently we produce about 18-20 million tonnes and import around 4 million tones. Thus, we have a deficit of around 6-8 million tonnes. To address this gap, we will need to have better varieties and to develop it, molecular breeding and GM technologies can help. Keep up the good work. Please try to find as many outlets and people as possible to get publicity for the truth. The opposers like greenpeace do not rest and are not limited by truth. this s very unfortunate to have this kind of science because these scientist breed destroyed the abiotic and biotic stress resistant group of varies crops and fooling the public by developing this expensive and unproductive technology. he is totally lying i.e the PARA head phalguni sainath showed us with proof that BT.COTTON is failure techonology and farmers suicide is due to the high cost of seeds, fertilizers and hype of yield concept. PLEASE READERS DONT BELIEVE THIS KIND OF HYPED INTERVIEWS. PLEASE MADAM SUNITA NARAIN DONT ENCOURAGE AND PUBLISH THIS KIND OF DESTRUCTIVE TECHNOLOGIES IN YPUR WEBSITE PLEASE MADAM.